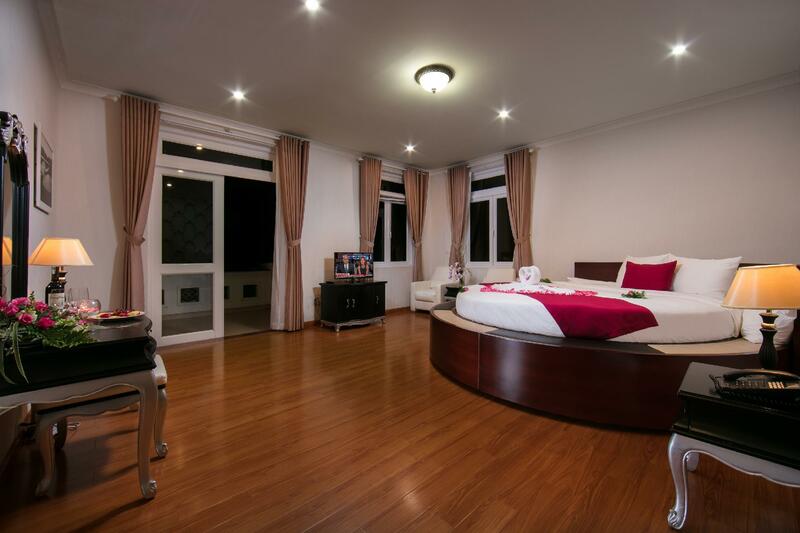 Имате въпрос към Sam Tuyen Lam Resort? 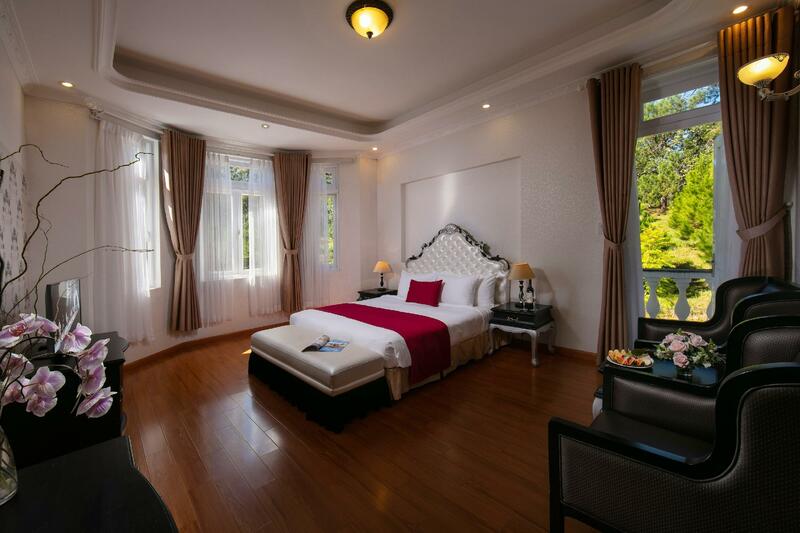 Dalat Sacom Resort е перфектен избор за пътуващи, които желаят да почувстват духа на Да Лат. Вълнуващият център на града е само на 10 km оттук. С удобното си местоположение хотелът предлага лесен достъп до всички градски забележителности, които задължително трябва да се видят. Възползвайте се от богатството на ненадминатите услуги и удобства в Да Лат. Безплатен WiFi достъп във всички стаи, 24-часова охрана, ежедневно почистване, 24-часова рецепция, съхраняване на багаж са само част от нещата, които отличават Dalat Sacom Resort от останалите хотели в града. Насладете се на висококачествените удобства по време на престоя си тук. В някои стаи са на разположение телевизор с плосък екран, безжичен интернет достъп (безплатен), стаи за непушачи, бюро, минибар, които ще помогнат на гостите да релаксират след дългия ден. Хотелът предлага прекрасни развлекателни съоръжения, такива като фитнес зала, голф игрище (в радиус от 3 км), билярд, градина, караоке, които ще направят престоя ви незабравим. Каквито и да са поводите за Вашето пътуване,Dalat Sacom Resort е най-доброто място за престой, което можете да изберете в Да Лат. Good location for quite relax. Fair room facilities & services. No restaurant & pool here must go quite far (Swiss Bel Resort - which a member around 4km from here, transit available) Must change water system HOT swap to be COLD otherwise it may cause disadvantage & harmful to guest. Beautiful, peaceful setting. Very quiet. Spacious, comfortable room, though there was a slight leak and smell in the bathroom. Courtesy bus to Dalat took some planning, one of courtesy transfers to airport didn't happen, but didn't spoil a pleasant stay. Breakfasts in nearby hotel were good but you are restricted to shuttles provided. The location is absolutely fantastic. The gardens & outside areas are so beautiful. The hotel is nice but getting old now in the rooms, however the rooms were clean & large. 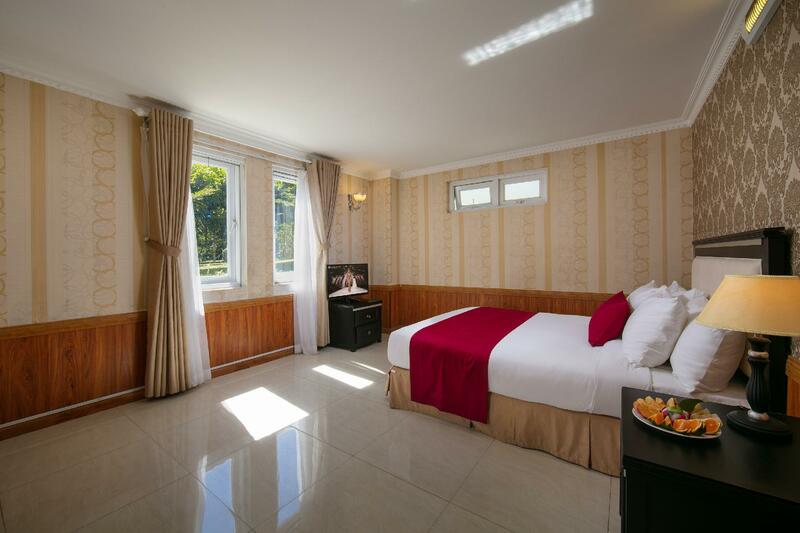 For the price I paid on Agoda for this hotel I would highly recommend it. Be aware you are in the countryside about 9km from Da Lat city, so you really need transport is you want to go out & about looking at the stunning countryside. Love this place! Very laidback and countryside feel, excellent weather and service! 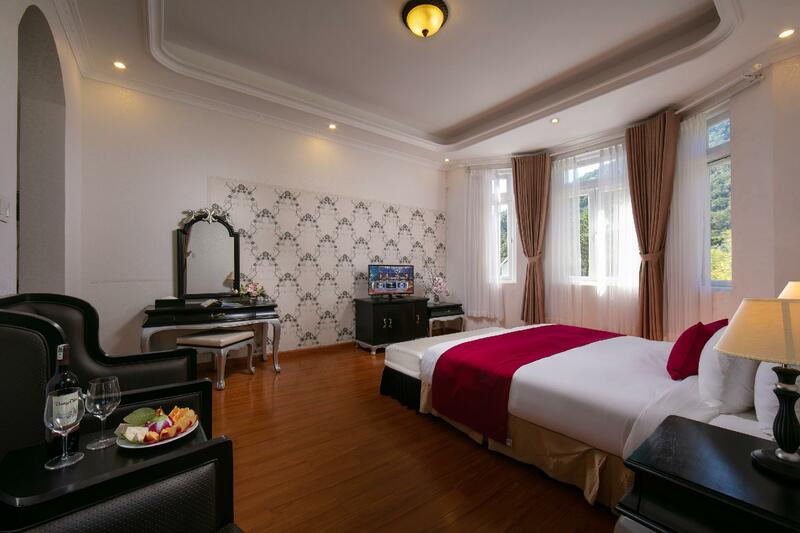 Though it's away from the dalat city centre, but there's a shuttle bus which you can take either to city centre or airport. Highly recommended! If your want to relax must choice this hotel .Nice and silent place do not expect to close with city.Staff are ver friently and helpful.Only resturant are need to improve Slow service even no customer in there.over all i want to stay again. This resort is truly peace in heaven in the cool clear mountains. It is quite, clean, and truly wonderful. We booked another hotel in the city and left without staying 1 night. We moved to the Sacom Resort and loved it. It is well out of town, but they have a free shuttle 2x per day. After the noise and crowds in town it is wonderful to get some peace and quite. Breakfast is great, both Western and local food available. Staff is well trained and very helpful. I do not give many 10's, but this place will not disappoint. big and old-fashioned room is not a problem even view of lake & resort is really good very calm & chimly staff's sincere attitude but very far from the Dalat city many facilities are old and doesn't work properly (phone, window) bad smell in bed the water in the bathroom isn't clean I can endure all of this except one thing. It's very cold. room are very cold and water for shower can't heating sufficient amount if you want to feel the winter? come here -------------------------------------- 오래된 느낌 경관은 무척 좋으나 룸은 형편 없음 다른건 다 상관 없는데 달랏 중심지랑 너무 멀고 길도 어려움. 그리고 방이 너무 추움. 보일러, 난로 아무것도 당장 해줄수 있는게 없다 함 샤워물도 개별 온수기 쓰는데 데워지는 양이 적어서 목욕은 커녕 샤워 하다가 보면 샤워기 물이 차게 식어있다. A really beautiful resort/hotel but the we had some issues trying to communicate with the receptionists. Pretty far from the city center. Also, we didn’t know that the breakfast was served at another hotel which was 5km away, and they only have a fixed timing for the bus to bring us there which brought us a great deal of inconvenience. Hopefully they open up a restaurant at the hotel itself in the future. Mr. Nam and Ms. Linh at front desk really wowed me at check in. They are kind, nice, helpful and attentive. Room is huge but needs a lot attention : Hot water capacity is too small - enough for 1 person use only. Wall paper needs a lot of cleaning Shower hook is broken However the service from the hotel staff really made this trip wonderful. Thank you very much for a nice stay , please keep up the good work and we will be back. 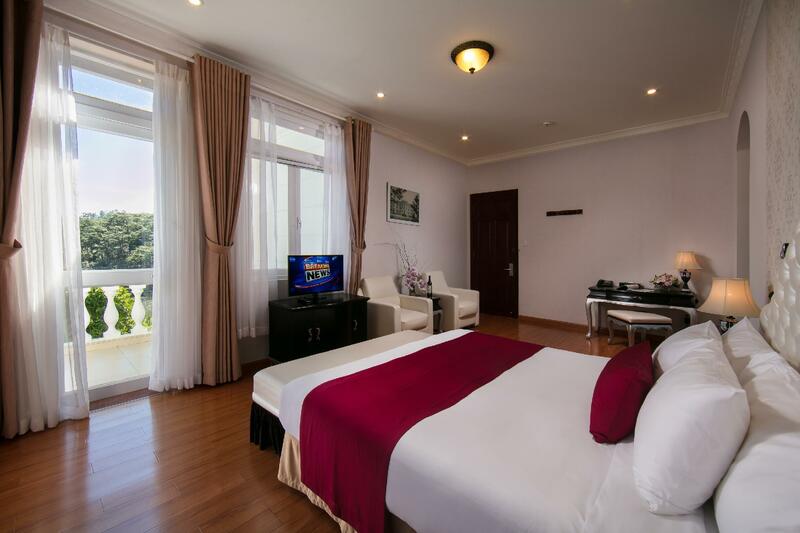 We had business in an area between Da Lat and the airport and took a chance on Dalat Sacom Resort. 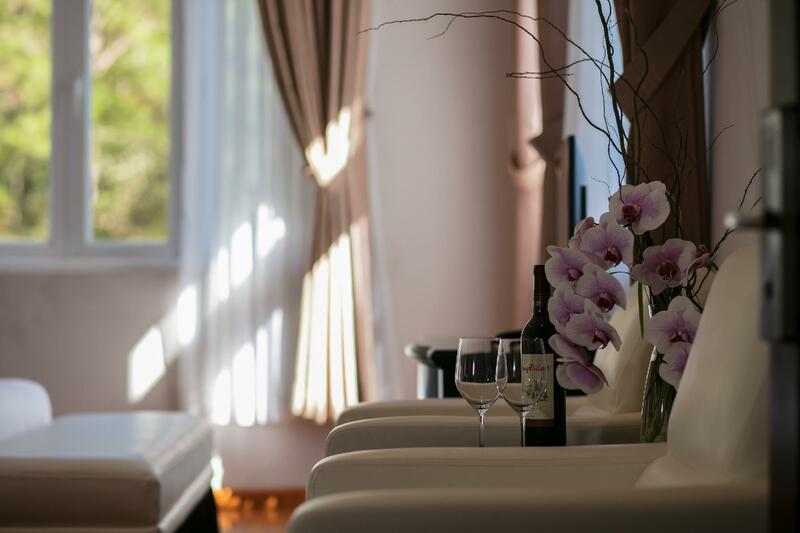 We were so pleasantly surprised by the beauty of the location, well appointed rooms, breakfast buffet and helpful staff. 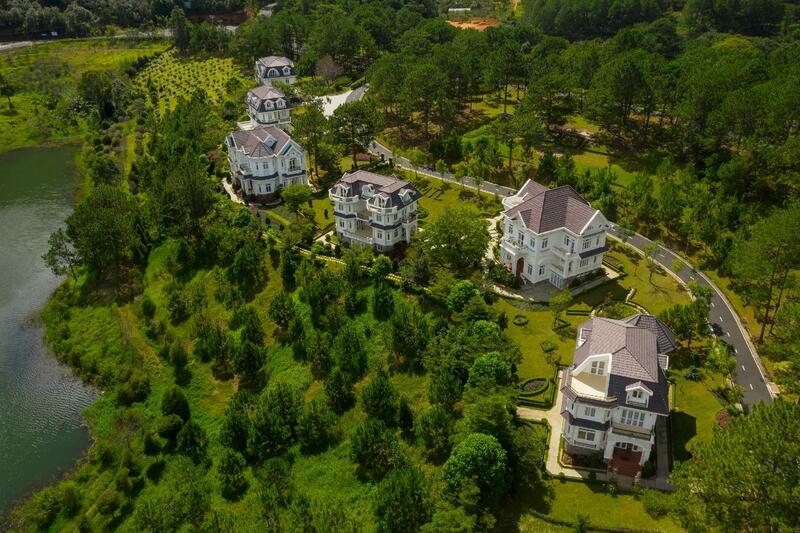 It is quite a distance from the main road and from anything else besides the Swiss Bel Resort, but the shuttle service makes it possible to get into Dalat itself. I would stay there again and would recommend it to others. It was absolutely beautiful. The resort was immaculate and quiet and peaceful. Perfect for the couple or family to get away. It was a little far from Da Lat city center but worth it. The hotel offered free shuttle buses to and from the city center so that was very convenient. Dear Agoda, it's been over a week after I checked out there as I traveled a lot and have time just now to ask for a REFUND! Since the first day I was there my Hot water was NOT working, so I asked for services then I left the hotel for my tour. Later I came back at night and it wasn't working again so I didn't shower till morning. I called for service around 2am and no one could help me at all. Next day, they said they fixed it. Later I came back again experienced the same problem. So I told them "I'm not paying for this for sure" to the staff. Their reply is "Okay Sorry". Until I checked out they still charging me full price and I refused. They called their manager and the manager said "I've already said Sorry to him and offered him a Late Check-Out". The manager actually went to see me at breakfast and yes she did say sorry for what happened but that doesn't mean that ENOUGH for me! How can she assumed that I would pay after just a word "Sorry" ??? For a late check-out, i was not really need it but she said "It is Okay" and i see it's very low volume of guests there anyway. I consider myself as a world's traveler and always be your client Agoda. So please investigate on this case and get back to make me satisfy with your solution. Lastly, about the staff, they are so kind I can feel but they need much more English Skills to handle NON-Vietnamese Guests. I actually really impressed with the view and weather but how the Manager sorted the solution for me ruined all my mood. I hope I will hear from you so soon Agoda. I came back here for a second time. It's valuable and enjoyable. This is the best place and beautiful landscape in Da Lat, Tuyen lam Lake. You can not go wrong with this place. It's awesome . My recommendation is : If Sacom Resort has motor bikes rental, it will be great for the tourists to exploring something new in the trip all a round Da Lat .